The Holy Hobo has it all – from bottomless brunching to late night munching, discover the best of food and booze with a delicious array of tank beer, craft ales, and exotic cocktails. Therefore, it forms the neighbourhood joint you’ve always dreamed off and offers a tipple or two at any hour. The Dr’s Lair is a mysterious private room hidden within The Holy Hobo and it’s Newcastle’s best-kept secret. Filled with a network of cosy corner booths and smaller hexagon tables entrance to this exclusive Newcastle spot is by appointment only…. So book up and buckle up to have your chance at experiencing an evening with the good time physician. Nancy’s Bordello is a quirky and cool take on the bar scene and forms a perfect offering for those a little left of centre. They are also a great function host so whether you’re having a party or simply want to book out an area of the bar they are more than happy to oblige. Looking for the VIP experience? Enter the tropical paradise of Florita’s Miami Bar and Tropical Garden- with its elaborate decor adorned with palm trees, Miami Vice really does meet the streets of the North East! Book one of their plush velvet booth’s complete with bottle service and Tiki cocktails for a bougie experience you don’t want to miss out on! Fancy a unique night out, hit the oriental underground of Madame Koo- guaranteed to offer a unique experience with its mysterious set up of tunnels with hidden bars and cave dancefloors. House of Smith is part of the glorious toon triumvirate (alongside Floritas Bar and Madame Koo) on Newcastle’s famed Collingwood Street or ‘The Diamond Strip’. House of Smith offers something for everyone with a glamorous decor and an extensive music selection. If you aren’t one for taking notice of a school night House of Smith will be sure to see the end of your Blue Monday’s with it’s infamous Club Trop! 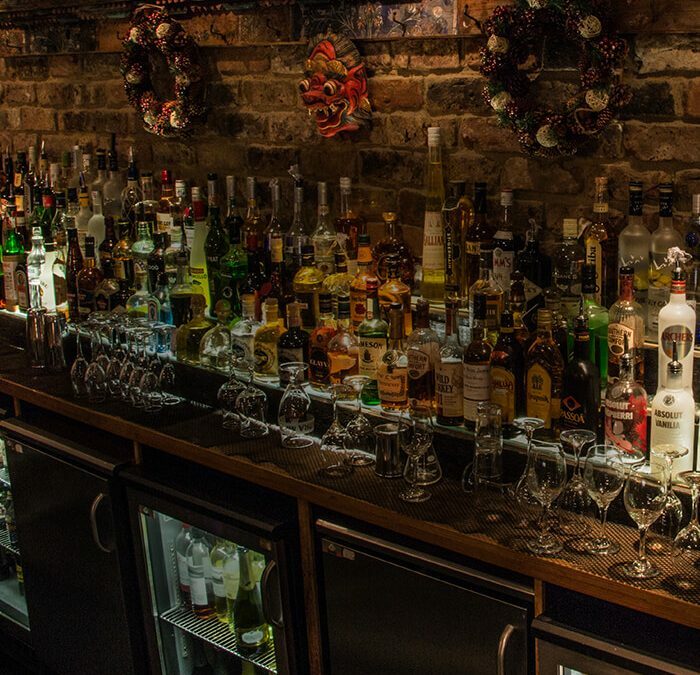 We hoped you enjoyed this ultimate round-up of Newcastle’s best bars of all time, so get your dancing shoes on and get sipping because these hot spots will not disappoint. But don’t forget about your old pal – As You Like It is always here to guarantee a fun-filled affair, from food to functions we do it all! Do not hesitate to give us a call if you have any queries. Five Hottest Cocktails of 2018 and How to Make Them!! !